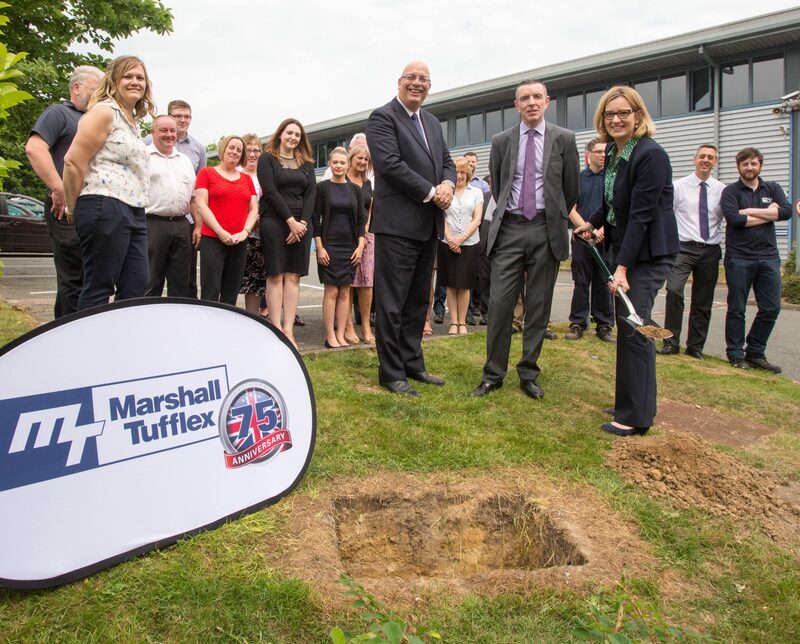 Amber Rudd recently took time out from her busy schedule to join leading Hastings employer Marshall-Tufflex in burying a time capsule to mark its 75th year in business. Ms Rudd, Conservative MP for Hastings and Rye, was given the honour of placing the capsule in the grounds of Marshall-Tufflex’s head office and manufacturing base in Churchfields Industrial Estate, watched over by delighted management and staff of the multi-million pound business, which employs more than 150 people and trades in 40+ countries. The capsule contains a selection of artefacts, including company literature, newspaper/magazine clippings, photos, a 3D printed model, messages from staff, the new £1 coin and a selection of product samples. It is planned to be retrieved on Marshall-Tufflex’s 150th birthday in 2092. The time capsule is just one of the many ways in which Marshall-Tufflex, founded by Harold Cirket on 28th May 1942, is celebrating its birthday. A summer party is being held for all shareholders and employees past/present and their families. Plans are in place for staff to do 75 company-donated days of charity work and company book ‘The First 50 years and On To the Millennium’, is being updated for release later this year.